On Monday, May 18, 1931, the Red Sox were at Comiskey Park in Chicago to face the White Sox in the final game of a four-game series. Entering the game, the teams had identical 11-15 records. The starting pitchers that day were veteran right-handers, Hod Lisenbee for the Red Sox and Ted Lyons, ace of the White Sox staff. Lyons had been bothered by a sore arm and was making his first start of the season. The Red Sox were the first to score, on a third-inning solo home run into the left-field pavilion by Urbane Pickering, a 31-year-old rookie. The White Sox also scored in the inning when Irv Jeffries doubled to the left-field scoreboard and Lu Blue knocked him in with a double to right. The Red Sox added a run in the fifth on Oliver’s double and Pickering’s single, and then broke the game open with four more runs in the sixth; with two outs and the bases loaded, singles by Oliver and Al Van Camp did the damage. The White Sox scored twice in the seventh. Bennie Tate doubled down the left-field line and came home on John Kerr’s single to right, and Kerr scored after Johnny Watwood’s single was fumbled by Webb in right field. Watwood pinch-hit for Lyons, so Hal McKain, a 24-year-old right-hander, took over on the mound for the White Sox. McKain surrendered two runs in the top of the ninth, on singles by Pickering and Ruel and a double by Rhyne, and the Boston lead was 8-3 heading into the bottom of the ninth. But the White Sox would stave off defeat with a furious comeback. Kerr led off the bottom of the ninth with a single to left field, Jeffries singled to center, and McKain drew a walk to load the bases. Manager Collins replaced the tired Lisenbee with Ed “Bull” Durham, a 23-year-old right-hander. Lu Blue greeted Durham with a rousing three-run triple to right field, and the Red Sox lead was cut to 8-6. Cissell popped out to third baseman Pickering for the first out. Carl Reynolds grounded to shortstop Rhyne and was thrown out for the second out, with Blue scoring on the play. The final score was White Sox 9, Red Sox 8. The winning pitcher was McKain and the loser was Durham. Lyons was bothered by arm trouble throughout the 1931 season. After posting a 22-15 mark in 1930, he pitched only 101 innings in 1931 with a 4-6 record. 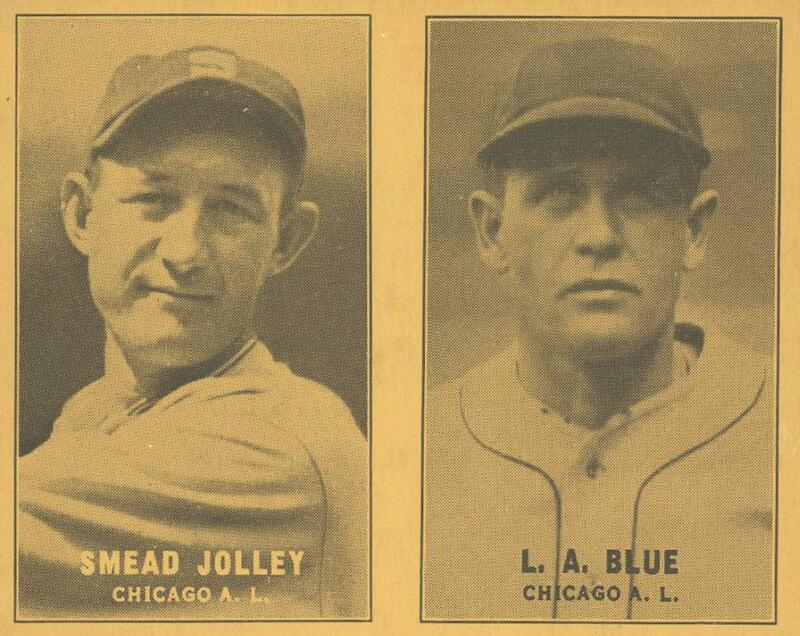 Without their steady ace, the White Sox finished the 1931 season in last place. Collins’s prediction that the Red Sox would climb out of the cellar came true, as the club finished in a virtual tie with the St. Louis Browns for fifth place in the AL standings. Game coverage in the May 19, 1931, issues of the Boston Globe and Chicago Tribune. 1 Irving Vaughan, “Sox Overtake Boston in Ninth; Win, 9 to 8,” Chicago Tribune, May 19, 1931: 25. 2 Donie Bush, “Giants – Chisox Much Improved,” Morning News (Wilmington, Delaware), April 11, 1931: 10. 3 John (Shano) Collins, “Pennant Prospects,” Altoona Tribune (Altoona, Pennsylvania), April 13, 1931: 8.